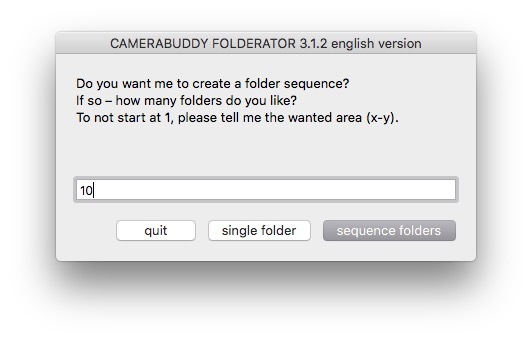 → Create sequences of folders (Motif01, Motif02, Motif03,...) with a click. → Choose which number to start with (if not 1). → Sequences with 2 or 3 digits possible (Motif01, Motif001). 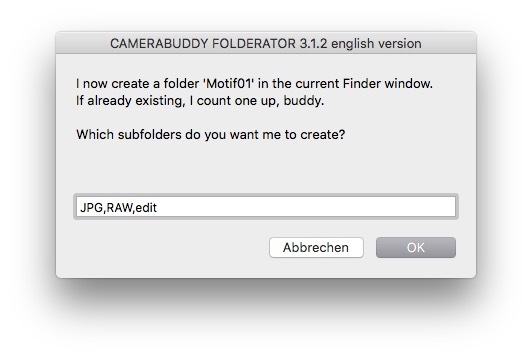 → Create as many subfolders you like (Motif01_RAW, Motif01_JPG, Motif01TIF, Motif01_edit,...). 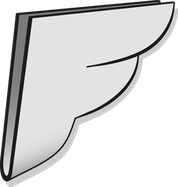 → super fast 2-click-option for a new folder+1. 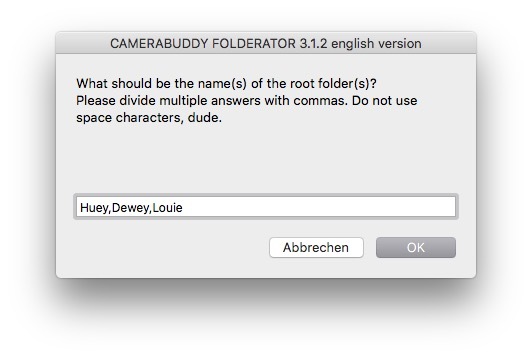 Create root folders with different names in a time. Use the speed function if you are in a hurry. 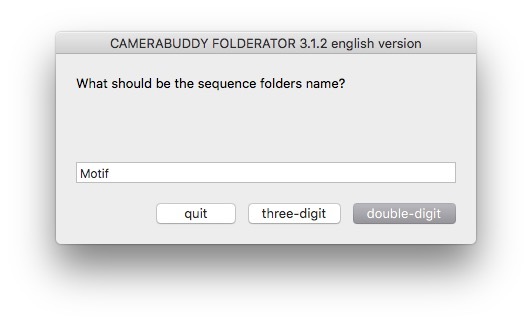 It will create a root folder named Motif01 with chosen subfolders. If Motif01 already exists it will automatically create the upper next. Cool? 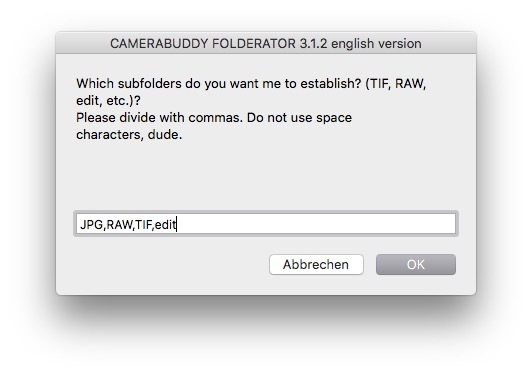 Feel free to download FOLDERATOR for MacOS. NOTE: Please make sure to give permissions to install in the MacOS security settings!